With soft lighting and enchanting music, Bund 18 was decked out to resemble a fantastic palace and the whole scene matched the dreamlike sets of "Perhaps Love," a movie musical by acclaimed Hong Kong director Peter Chan. The venue had been the backdrop for a scene in the movie and on Tuesday night, it hosted a gala premiere. Starring Chinese mainland actress Zhou Xun, Chinese-Japanese heartthrob Takeshi Kaneshiro, Hong Kong popular singer/actor Jacky Cheung and South Korean star Ji Jin-hee, it opens in Chinese mainland cinemas today, just two weeks ahead another of this year's movie blockbusters, "The Promise," made by veteran filmmaker Chen Kaige. "Though 'Perhaps Love' has an international cast and crew and will soon debut in many other Asian countries including South Korea and Japan, what we're focusing on is the Chinese mainland market," says Chan, 43. Chan insists that his mission is to combine dazzling film art with market demand. "Directors have a responsibility to take marketing and their audience into account," he says. "Good returns on ticket sales will give investors confidence about funding new projects in the future. This beneficial cycle for the development of Chinese film industry can also extend the artistic career of Chinese filmmakers." "Perhaps Love," as Chan's latest work, beat Jackie Chan's "The Myth" and Stanley Kwan's "Song of Everlasting Sorrow" and will represent Hong Kong in applications for Best Foreign Language Film at next year's Oscars. "The Promise" was selected to become Chinese mainland's official entry for the award. It is the first time Chan has attempted a musical set in a modern city on the Chinese mainland although the identity of the city is anonymous. In the movie, Takeshi Kaneshiro plays an actor named Lin Jiandong who is the star of a new musical being helmed by renowned director Nie Wen (Cheung). 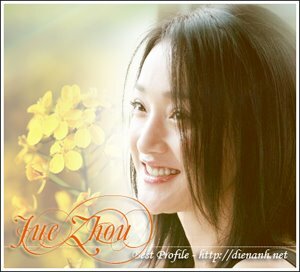 Coincidentally, Lin's co-star, Sun Na (Zhou), is a former lover who had left him a decade earlier for Nie who could make her a star and rescue her from poverty. Bittersweet memories are rekindled and the souls of the characters ask questions of one another once again. And South Korean actor Ji, noted for his impressive performance in the TV sitcom hit "Dae Jang Geum," plays a talk-show-host-like narrator who introduces the film and the characters. He witnesses the jealousy, hatred and passion that ensue within the love triangle and yearns to taste a genuine human emotion himself. "I believe the moments when one falls in love and is crossed in love are the most beautiful," Chan explains. "This movie is all about love. Everything I could think of in terms of love and relationships is in it. This true-life romance can give resonance to audience in deep heart." It's true that love is a subject that Chan is quite familiar with. In 1994, he established his name with "He's A Woman, She's A Man," which was named Best Film of the Year by the Directors Guild of Hong Kong. And "Comrades: Almost a Love Story," starring Maggie Cheung and Leon Lai, pushed his reputation to new heights and won him an unprecedented nine awards at the 16th Hong Kong Film Awards in 1997, including Best Film and Best Director. This romantic drama portrays the struggles of two Hong Kong immigrants who fall in love. Chan's talent in depicting the delicacy and different levels of maturity of love made it a classic of Hong Kong cinema. The film was also ranked by Asia Weekly as "One of the Best Films of the Century" in its December 1999 issue. Though critics doubt "Perhaps Love" will reach the same heights, Chan is confident. "Actually many of my foreign friends have told me that they had a deeper understanding of 'Perhaps Love' as the emotions conveyed in it are so real and close to their own experiences," Chan says with a laugh. "But in 'Comrades: Almost a Love Story,' they had little idea of what that era was like and were not able to feel the sentimental mood conveyed by Taiwanese singer Teresa Teng's songs in the movie." Wang Tao, a local movie buff, agrees. "Apparently 'Perhaps Love' centers on a love triangle, a no longer fresh subject for filmmaking," says Wang. "But surprisingly we can appreciate their pain, passion and dramatic conflicts. In the high pace of life in a modern society, the problems and pressures confronting each of us are similar." Another highlight of the movie is probably that the romance is set against the making of a musical which has both artistic and commercial value in the film market. "It is the first Chinese movie musical in more than 30 years," says Wang Tianyun, vice president of Shanghai Film Group Corp. "This blockbuster, with an investment of US$10 million, fills a blank in the national film industry." However, director Chan stresses that the movie is not a musical in the conventional sense and the characters don't break out into song. "In the movie, singing and dancing take up 30 percent of the time," Chan says. Initially, it was a challenge to balance the 'over-the-top' elements in musicals and the subtleties of a movie script. In the end, the method I used to overcome that was to make a movie-within-a-movie." Actress Zhou and Kaneshiro's performances in the film have also won praise from the critics. "I am so happy to have had such an experience," Zhou says. "Unlike any of my former work, I can practice singing, dancing as well as do some breathtaking acrobatics on a trapeze or tightrope in the movie." Cheung, a pop singer/actor and art director of the hit musical show "Snow, Wolf, Lake," is considering a stage adaptation of the movie. "The rhythm of the movie's songs is so touching and expressive," he says. As for the future, Chan doubts he would be attempting something as elaborate and complex as "Perhaps Love." Though he admits to be a little bit sick of filming love stories for now, movie fans won't be seeing any action movies from this director. "I am a person who lacks imagination," Chan says jokingly. "I can't make action-packed movies such as Tsui Hark's 'Seven Swords.' But love stories don't need so much imagination and that is to my taste and capabilities." And for the cellphone users, there's also a good news. Linkstone, a communications and message service company, has already purchased the wireless copyright of the movie and local movie buffs will soon see it on their cellphones.